Much of Botswana lies on the ancient Kalahari sands. Here, away from the lush Okavango, the landscape is arid and harsh, but it continues to sustain life in the most surprising and fascinating way. 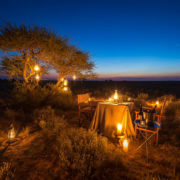 There are a few camps in the Central Kalahari Game Reserve and Makgadigadi Pans that are very special indeed. Seasons play a key role in the wildlife distribution, and choosing the right time to visit is key to making the most of this area. 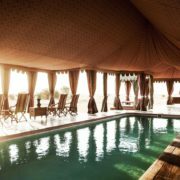 The camps also harness the ancient San culture and the vast open spaces that really makes the Kalahari special. 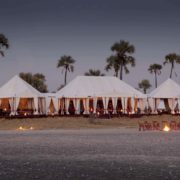 A stay in one of these camps really completes the ultimate Botswana safari. Easy charter flights will connect you from the northern safari hub of Maun to these destinations in the centre of Botswana. Desert landscapes are not for everyone, but we know the desert always enthralls those who take a chance to explore it.